We put our first-ever caged pitch up next to the fan park on the WEST side of the Red Bull Arena. 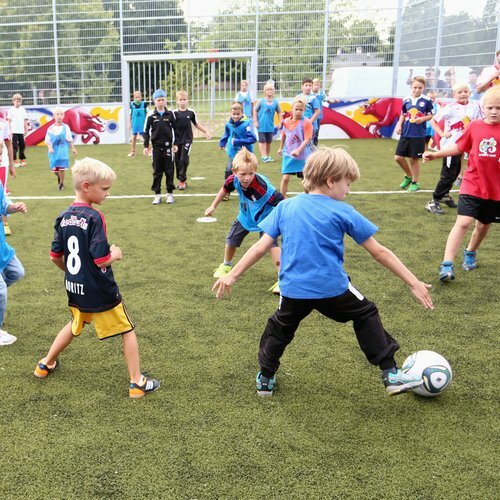 As young footballing talents enjoyed practicing there so much, we now have two more caged pitches in the centre of Salzburg. One is in the playground of the Franciscan School and another is in the Volksgarten. New locations are already being planned. As soon as these are opened you will find news here. The key for the caged pitch can be picked up with an identification card at the Bulls' Corner Restaurant & Bar.